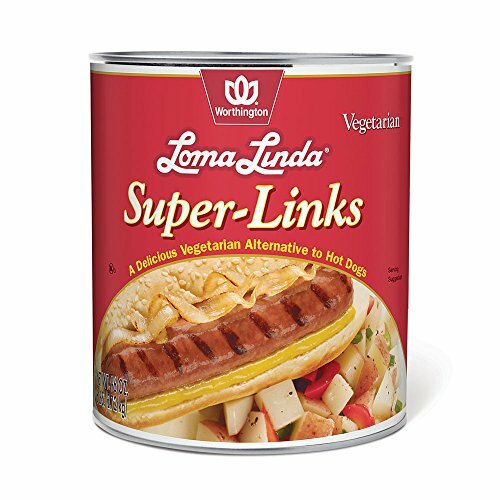 Made for hot dog lovers, Super Links are a completely meat-free alternative with the same big juicy link of a real hot dog. Made with sustainable plant protein, Super Links offer protein and flavor to grill or warm in a pan without the unhealthy trans-fat or cholesterol typically found in meat-based hot dogs. Shelf stable and easy to prepare. View More In Meat Substitutes. Vsoy Natural Meatless Vegan Soy slice Textured Soy Protein Vegetarian Meat Substitute Unflavored 8 oz.